I will be clean and honest in my thoughts, words and deeds. We have often heard it said that thoughts become words and words become actions. The pledge gives a reminder that honest thoughts leads to honest words and actions. It is amazing that toddlers can construct complex, intricate and blatant stories that are far from the truth. 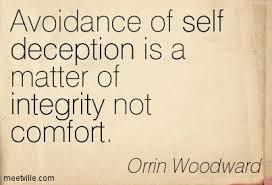 Honesty has to be instilled in us until it becomes part of who we are. Left to our human nature we will construct stories to deceive others. It is a sad thing to meet with adults who are constantly constructing stories about who they know, what they own, where they have visited….the list goes on and on. You may even know someone with this problem. But back to issues of national interest, dishonesty destroys trust. We must be able to trust each other in order to work together “for the honour and the glory of our country“. Some foreigners refer to us as “tricki-dadians”, it is not something we can be proud about. Each national and political scandal sinks our nation’s reputation lower and lower which can negatively impact our diplomatic and business relationships. People often decide whether or not they trust you before you even say a word. We use this sixth sense everyday with colleagues, police, customs, licensing officers and politicians alike. Why is that? How can someone tell whether you are trustworthy or not? .. developed the Facial Action Coding System, or FACS, in the 1970s as an exhaustive taxonomy of all facial expressions, including these telltale muscle behaviors… With practice, most of us could decode these fleeting expressions in real time. If our thoughts are honest, free of deception and guile, we are hardly likely to fall in the traps that have destroyed trust in people, large corporations,institutions and the reputation of an entire countries.